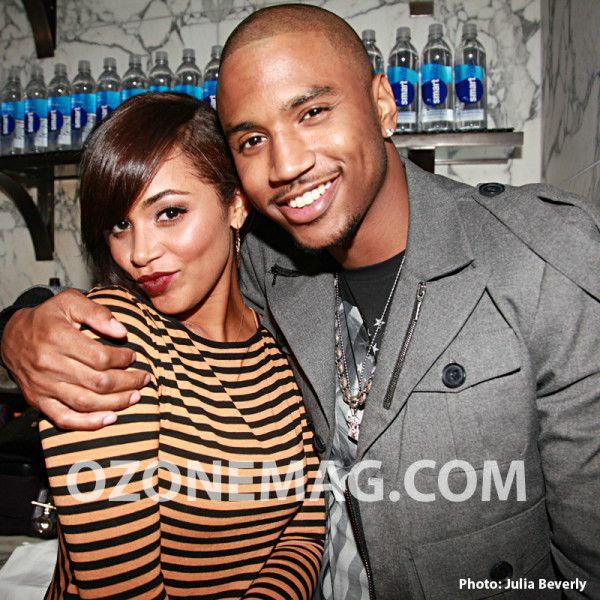 Rumors have been swirling for almost two years now that singer Trey Songz and actress Lauren London have been secretly dating. And even though Trey has denied it on a few ocassions, the rumors continued saying the twosome were pregnant at one point, enagaged and even that they broke up--despite neither ever admitting to being together. Ozone Magazine's Founder & EIC Julia Beverly spotted Lauren & Trey at Warner Music Group's BET Awards afterparty in L.A. last night. And it looks like the newest cast member of "The Game" didn't mind Mr. "Heart Attack" Trey throwing his arm around her to snap the pic. Neither of them have confirmed they're dating. But based off the body language, they seem pretty darn comfortable together. Not even mad. Cute pics. PREVIOUS: PARTY FAB: Chris Paul & Preggers Wife Jada, Kim Porter, Brandy, Laura Govan & More HIT UP 2012 BET AWARD SHOW After Parties! NEXT: JUST MARRIED: Michael Vick & Kijafa Frink! she might be his new beard, but everyone knows trey is will smith's new side piece. trey's been tapping into the boys here in LA for a while. Ok, thats it! lauren is officially a celebrity pass-around...didn't u learn after get knocked up by weezy??? Lauren looks uncomfortable in the second pic....and I love me some Trey but my gay fam member told me he's gay...or at least bi. Straight men don't party at the houses! Cute. If they're happy good. Cute! I just hopes he learned from her previous relationship w/ someone in the industry...keep your relationship private!